Nineteen years after winning the Shasta contest, the first Riverworld novel is finally published. 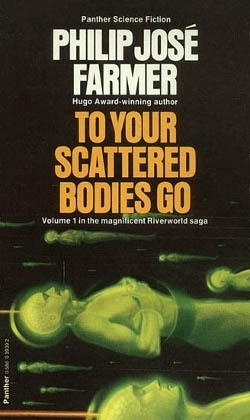 Anyone who reads science fiction is familiar with the premise, everyone who has ever lived (up to 1984) is resurrected on the banks of a million mile long river. Their bodily needs are taken care of and if you are killed you wake up the next morning somewhere else on the river. This book looks at Sir Richard Francis Burton, famed translator of the 1001 Arabian Nights and discoverer of the source of the Nile. Burton meets many interesting and famous people and also hangs out with Peter Jarius Frigate (note the initials).